It might not be the most promoted rivalry within the HBCU sports world but the Howard vs Morgan State rivalry has produced some instant classics this year. Both programs played close contests during football and basketball season. The narrative hasn’t changed in softball. Morgan State posted two strong performances to get a series win from Howard this past weekend. It looked like a potential blowout for the Lady Bears after leading 4-0 until the bottom of the 4th inning. A Damali Young RBI led to Mikaela Browdy to home. Browdy was not done as she later hit a double in the 4th inning. But after that, the Lady Bears went scoreless as the Bison heated up their bats. Xzarria Simmons and Kalita Dennis were big for HU, both getting two hits and scoring later in the game. A single from Sienna Herrera clinched the winning run as Camille Navarro scored in the bottom of the 8th inning. The Bison started game two just like they ended game one, by scoring. They scored two quick runs in the 1st inning. Going into the 3rd, their lead was 2-1 until the Lady Bears exploded for six runs in the same inning. In her only hit of the day, Meikel Turner’s single advanced Sarah Heagy to home. A few minutes later, Haylee Bobos hit an absolute bomb to left field. Her grand slam pushed their lead by 5 runs. It was a damaging inning for the Bison defense and overall, they could not get back on top after it. After letting up a homer from Breanna Robinson in the 3rd and allowing two more runs in the 5th inning, the Lady Bears were looking at a 4-2 deficit coming into the 6th inning. A Bobos homer in the 6th tied the game. 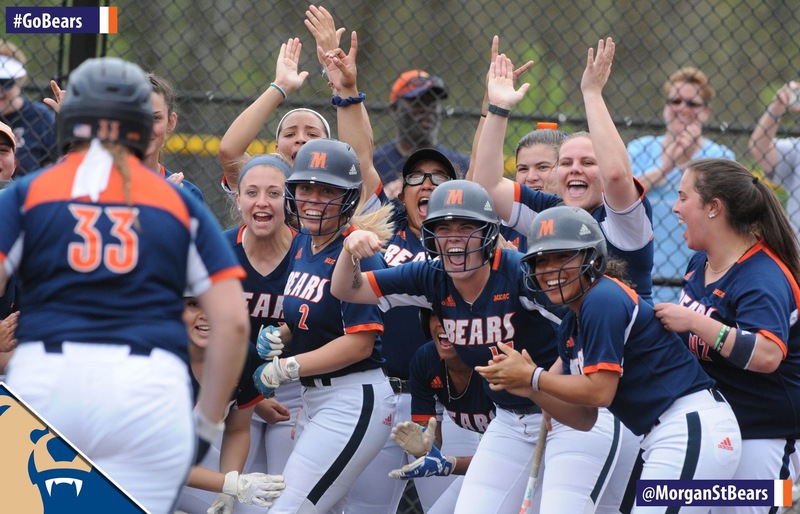 Coming off that momentum, the Lady Bears went on to score four more runs in the 7th inning, shutting down the Bison bats on the defensive side as well. Damali Youg, who is MSU’s all-time hits leader, gained 3 hits and scored twice in the comeback win.